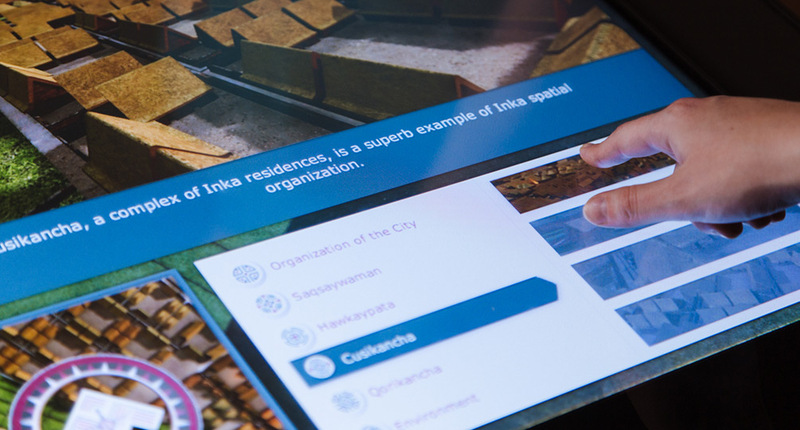 The Cusco Experience has become the central gathering spot in The Great Inka Road: Engineering an Empire exhibit at the Smithsonian National Museum of the American Indian (NMAI). Ideum worked closely with NMAI and scholars from the University of Tarragona to create a 3D reconstruction of the ancient Inka capital city, Cusco, as it looked in the year 1531. 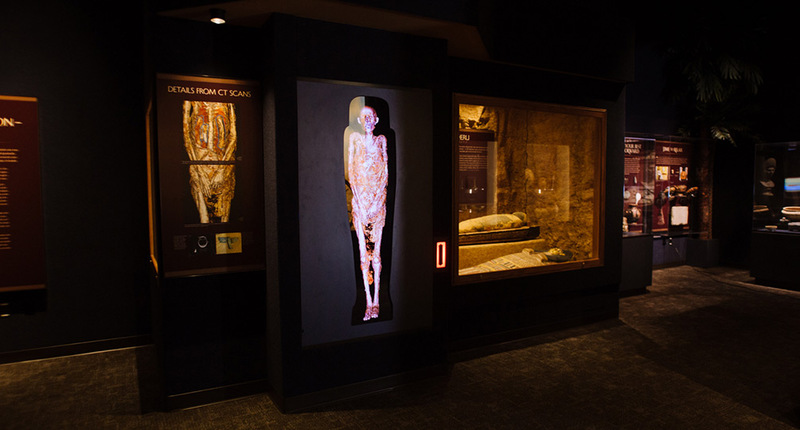 Ideum programmers and 3D artists with help from XY3D built the experience based on years of painstaking archaeological and architectural research. Ideum’s Creative Director Jim Spadaccini traveled to Peru with the Smithsonian team to participate in the gathering of media for the exhibit. In addition to the stunning 3D model itself, the experience is full of media. 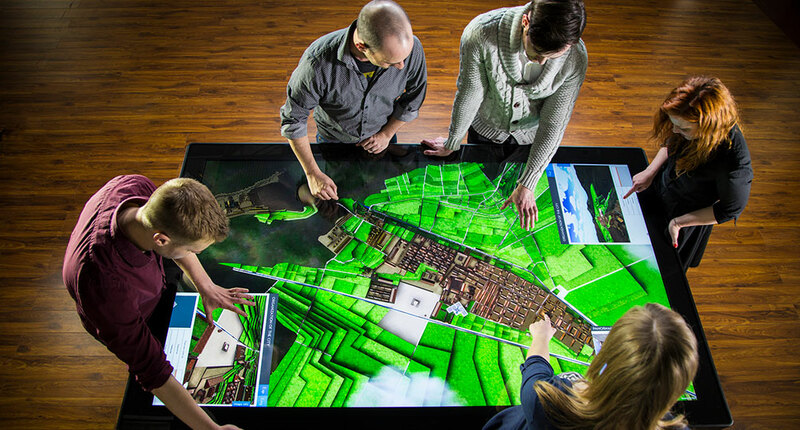 Each end of the touch table application has a “flythrough” station, where users can choose from among six differently-themed bird’s-eye view tours of the city. Throughout the model, museum visitors tap icons to initiate a variety of media types. Twenty videos, narrated by experts, discuss the history, culture, and architecture of Cusco. Six image galleries depict various parts of the city as they appear today. The application runs on a Ideum Colossus multitouch table which incorporates an 84" LG commercial display and custom projected capacitive touch controller. Its surface is bezel-less, water-resistant, and made for demanding environments. A dozen 360-degree panoramic virtual reality images, some of which we have shared on our blog, give visitors the sense of really looking around Cusco and the surrounding area. Ideum captured these panoramic photos and developed them into VR experiences. A detailed architectural scan captured by the Smithsonian’s 3D scanning team reveals Inka masonry skill, as exemplified by the famous Hatunrumiyoc, or 12-sided stone. Four overlay graphics highlight particular geographical and ideological features of the city. All of the text in the exhibit, including video subtitles and all of the media captions, are bilingual in Spanish and English. 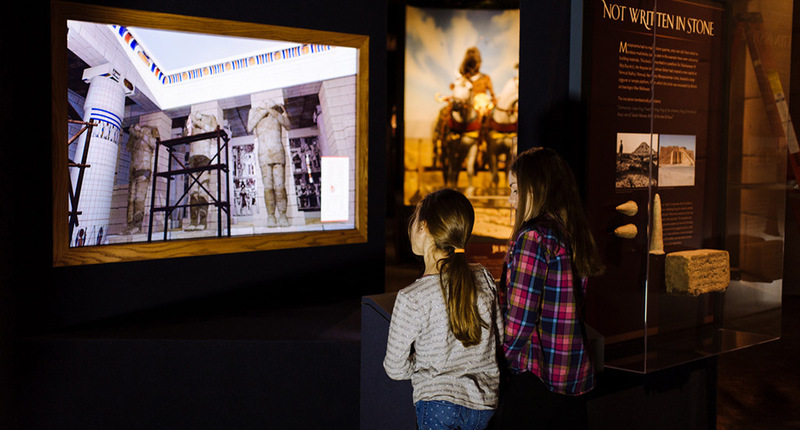 The Great Inka Road exhibit opened on June 26, 2015. The National Museum of the American Indian anticipates that over 3 million Smithsonian visitors will experience the exhibit. To learn more about the exhibit, visit the NMAI Inka Road website.